Keeping track of score for tons of game types is easy with this board. 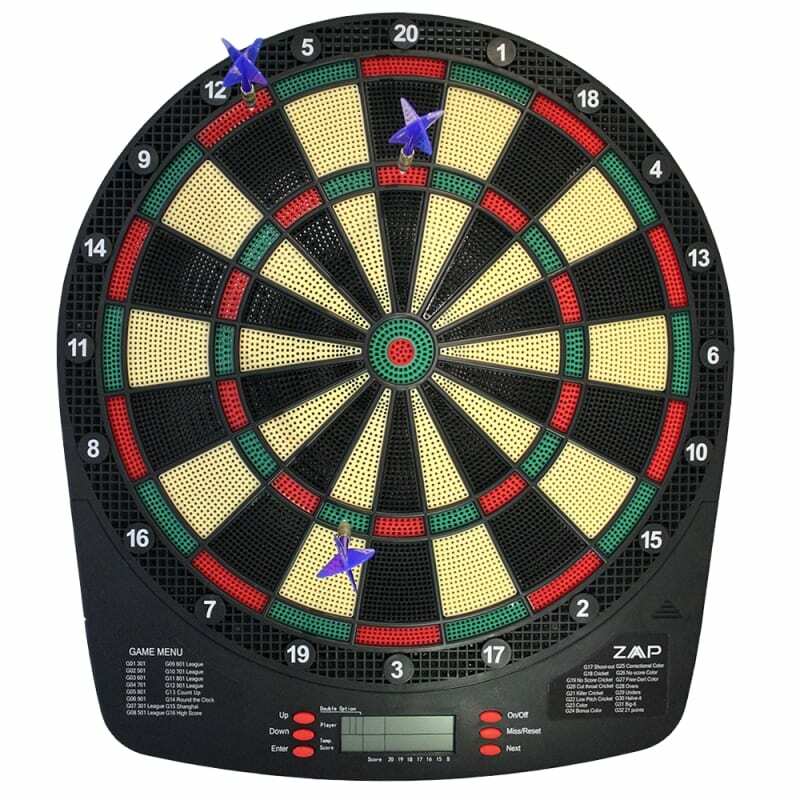 This battery operated darts board does all the hard calculations for you, allowing you to enjoy a more relaxed game with your friends. Featuring 32 different games, and over 500 variations within those, you’ve got the classic X01 games, as well as some you’ve probably never played before. The beauty of it being battery operated means you don’t have any cables running across your wall, so it can be a very neat install.